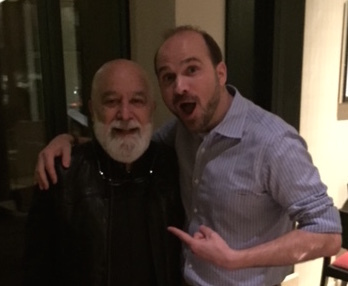 Beards for all at Dr. Jack’s birthday celebration! The week began with Dr. Jack Dillenberg welcoming Dr. Brian Novy and presenters at the first annual National CAMBRA Conference. The following night ASDOH hosted the First Things First Southeast Maricopa Council. Dr. Jack Dillenberg joins Dr. Brian Novy at the CAMBRA Conference dinner. 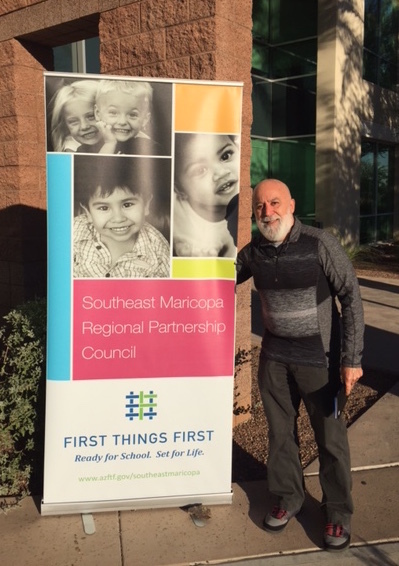 ASDOH’s Dean hosts FTF’s Southeast Maricopa Council meeting. Wednesday began the official celebration of Dr. Jack’s 70th birthday. He hosted a Zappone’s catered lunch in the JJLC which included a charity raffle to benefit Smile Forward. A presentation of the first joint proclamation from the mayors of Gilbert and Mesa, Ariz. to honor Dr. Jack was an unexpected surprise during the celebration. COH attendees celebrate 30 years of community service. 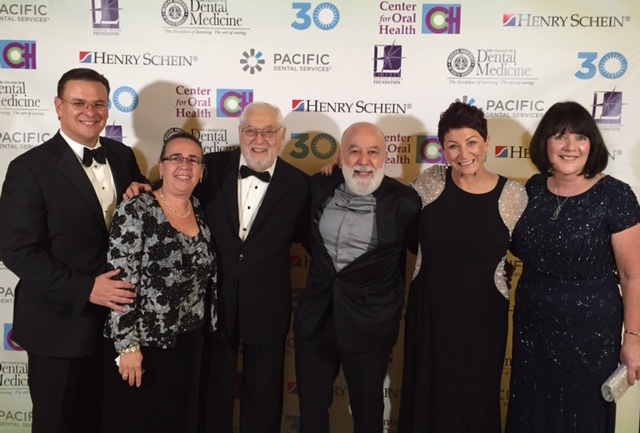 On Friday he participated in the 30th Anniversary Gala for the Center for Oral Health of which he is the board chairman. 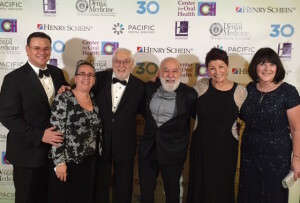 The COH honored Stanley Bergman, CEO, of Henry Schein; Steven Thorne, CEO of Pacific Dental Services; Dr. Amir Neshat, CEO of Liberty Dental Care; and Dr. Steven Friedrichsen, Dean, College of Dental Medicine, Western University. 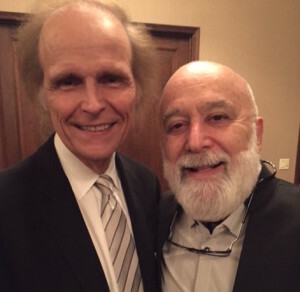 Dr. Gary Brigham, long-time friend, faculty member and donor to ASDOH, visits with Dr. Jack during the Ortho Program Graduation dinner. 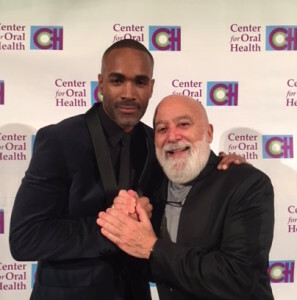 Dr. Jack joins Donnell Turner, star of General Hospital, at the COH gala.